Over 70 years of experience, countless hours of hard work, the finest cuts of meat, all with your name on it. 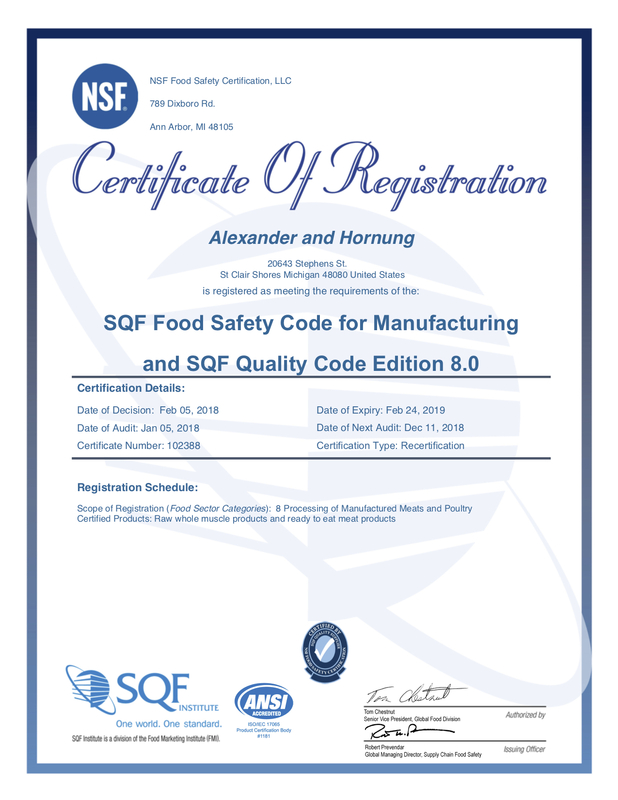 Here at Alexander & Hornung we produce premium private label meat products for many of the nations top food brands. Our consistent, reliable process and capabilities allow us to produce 10,000 pounds or more for all of our loyal customers.